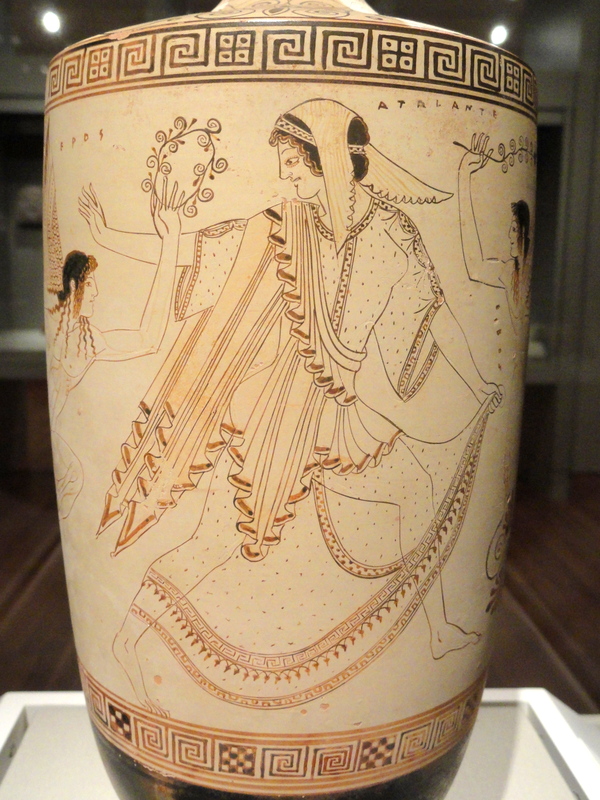 For International Women’s Day, here’s a Greek woman of formidable talent and power. Since 1935 she’s lived in Swansea, in the collection of the Glynn Vivian Art Gallery. She’s hidden away from public view at the moment while the Gallery’s home is being modernised. She was absent from the big Christopher Williams exhibition curated by Robert Meyrick in the National Library of Wales in 2012. I doubt whether she’s been on display at all for some decades. She was not always so coy. 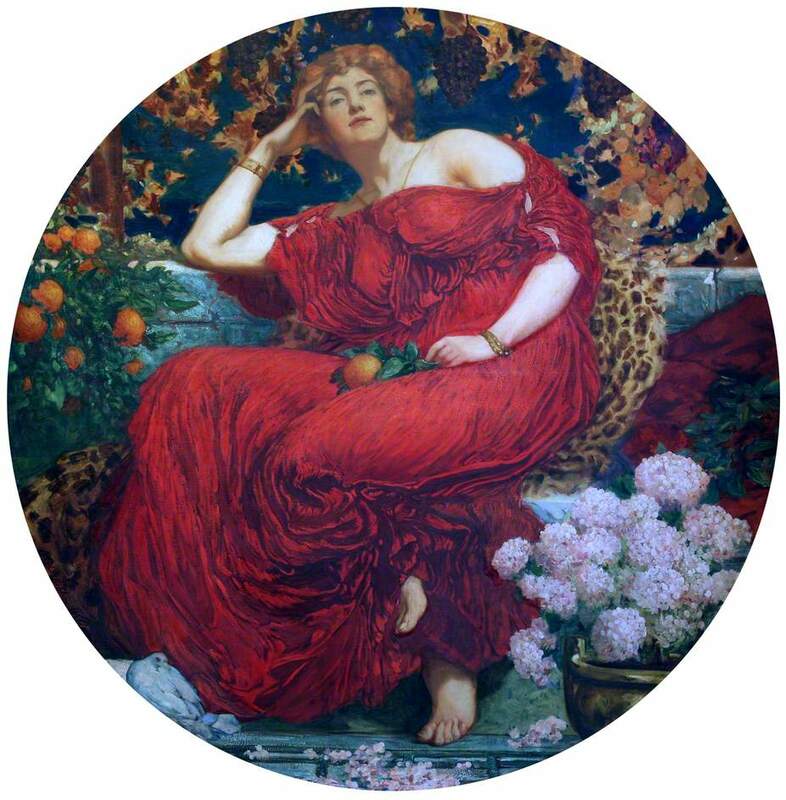 The Maesteg born Williams painted ‘Atalanta’ sometime before the First World War (the painting may have been donated by his widow to the Gallery after the artist’s death). Its subject would have been familiar to many of his contemporaries, and isn’t completely forgotten today. Atalanta belongs to several stories in ancient Greek myth. After her birth she was exposed on a mountain side by her father, who was distressed at failing to produce a son, and was suckled and reared by a she-bear before returning to her family. By now she was equipped with advanced martial arts skills. She took part with Meleager in the hunt for the Boar of Calydon, sent by Artemis to ravage the land of a king who neglected to honour her, and was the first to wound the terrible beast. 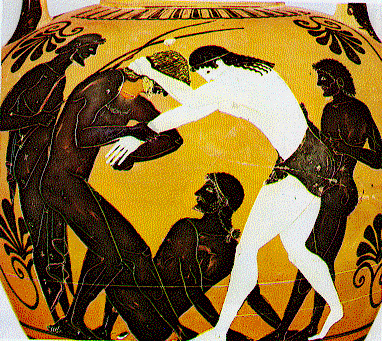 Some versions have her as one of the shipmates of Jason on the Argo, and others tell of her successful wrestling match with Peleus at the funeral games for Pelias, a scene depicted on sixth century black-figure pottery from Attica. But the best, and best known, story about Atalanta concerns her athletic talents. Marriage was not an appealing prospect to her, despite her father’s wishes, but she finally came to a compromise with him: she would agree to marry a man who could defeat her in a foot race, but any man who failed would lose his life. Since she knew that she could outrun any man she thought this was a safe concession. Several suitors tried their luck and all were duly defeated and put to death. Hippomenes (in some versions, Melanion), who’d studied psychology as well as sports science, asked the goddess of love, Aphrodite, for advice. She gave him three golden apples from the garden of the Hesperides, knowing that Atalanta, a health fanatic, could not resist regular fruity snacks. 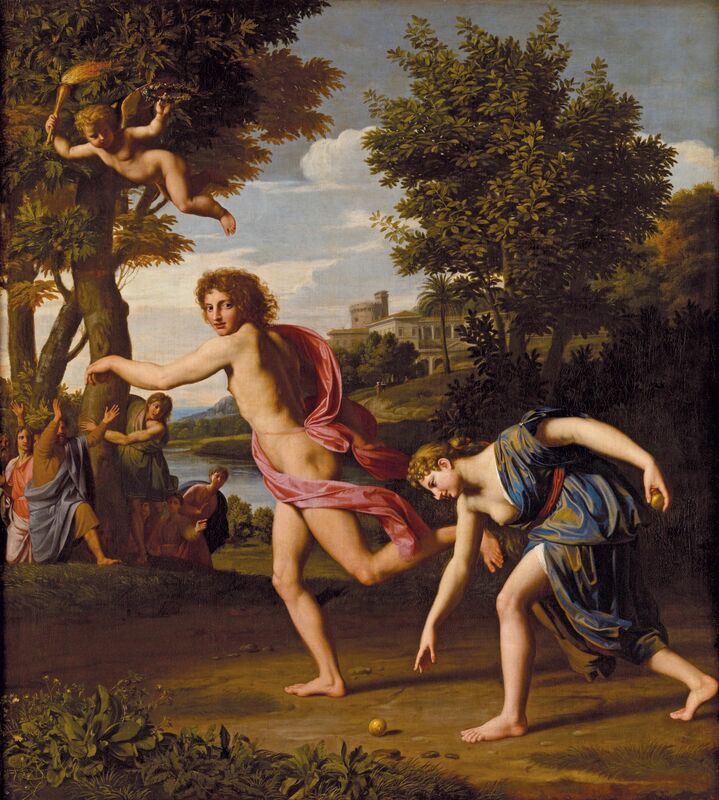 Each time Atalanta began to overtake him in the race Hippomenes rolled one of the apples in front of her. Each time she stopped to took a bite, with the result that eventually he won the race and claimed her in marriage. Greek myth is interesting for the prominence given to powerful women, among both gods and mortals – a prominence notably absent in Greek society as we know it from the classical period. Atalanta has a lot in common with Penthesilea and her Amazons – female competitors and warriors in a male world. It’s maybe no coincidence that memory of her revived in Britain in the second half of the nineteenth century, when women were just becoming to assert themselves in public life. 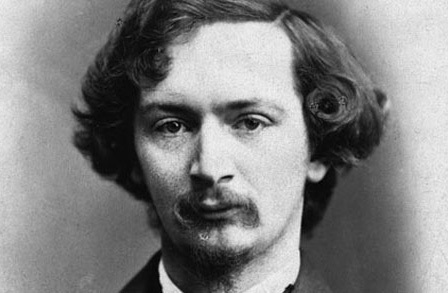 The literary figure who did most to glorify her in this country was Algernon Charles Swinburne, in his long dramatic poem Atalanta in Calydon (1865), published when he was 28 years old. Modelled on a Greek tragedy (one of Aeschylus’s lost plays was called Atalanta), it tells the story of the hunt for the Boar and the exploits and death of Meleager. It’s a near-unreadable work, with florid language and unlikely rhymes, but in its time it helped to cement Swinburne’s reputation as a blazing young comet of new writing. It’s said that young men at Oxford would wander the streets arm in arm, reciting from memory long extracts from his poetry. Addicted to flagellation and alcohol, Swinburne shocked conservative opinion with his atheistic and freethinking beliefs. His genius and his body seem to have burned out early, and he succeeded in living to old age only under the care and close discipline of his friend Theodore Watts-Dunton, who immured him in his home, The Pines, Putney, isolating him from other human company. Christopher Williams and his contemporaries would have been familiar with Swinburne’s drama, but Atalanta had already starred in many earlier artistic, musical and literary works. Just two years before Swinburne’s drama, Walter Savage Landore published his poem Hippomenes and Atalanta (1863). 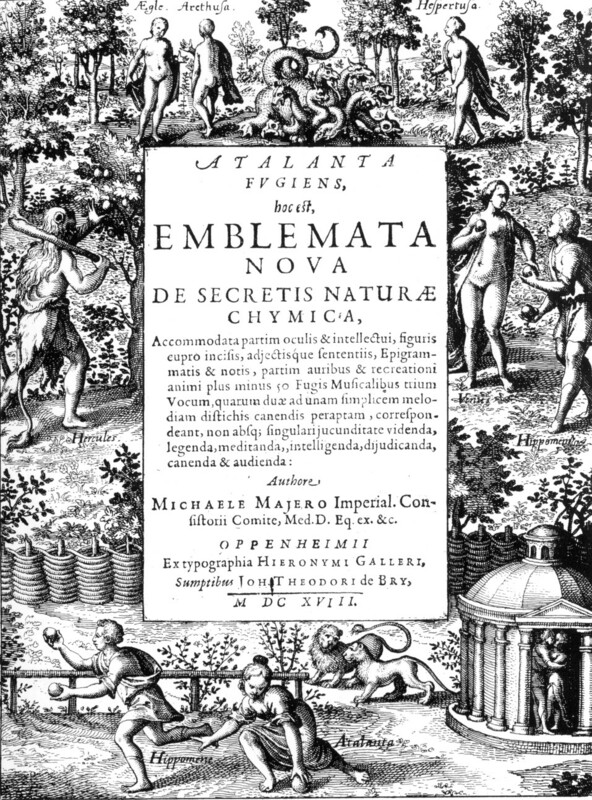 Much earlier Handel composed an opera called Atalanta (1736), and earlier still Michael Maier, a German alchemist, composer, physician and counsellor to Habsburg Emperor Rudolf II, published an intriguing hermetic work based on her Race, Atalanta fugiens (1617), ‘a multimedia work containing 50 engraved emblems visualizing the alchemical stages and including corresponding epigrams, discourses and musical symphonies, ‘fugues’, which he composed himself’. The engraved title page shows, among other things, Heracles in the garden of the Hesperides, and Atalanta stooping to collect one of the apples. The fugues feature three voices, Atalanta, Hippomenes and the voice of the apple. Atalanta was a frequent subject in seventeenth and eighteenth century mythological painting, by Rubens, Guido Reni, Nicolas Colombel, Nöel Hallé, Charles Le Brun, Richard Wilson and others. Typically the scene is either Meleager and the boar hunt (Swansea Museum has another Atalanta painting, by an anonymous artist, entitled Meleager presenting the boar’s head to Atalanta) or the foot race with Hippomenes. Both gave the painter ample opportunity for exciting narration and dramatic composition. Christopher Williams, though, ignores the mythological context almost completely. You’d find it hard, in fact, to guess that this isolated, static, Pre-Raphaelite figure is Atalanta, without a caption to tell you. She sits, with an air of easy possession, on a stone bench in a southern garden, its hardness softened by a leopard-skin throw. Her pose is relaxed: her head leans on her right arm, its elbow rests on the top of the stone seat. Her right leg is crossed under her left, both naked feet peeping out from a sleeveless dress of the richest crimson that covers most of the rest of her body, though it’s diaphanous enough to give more than a suggestion of her full breasts. Her white arms and neck are bare, except for two bracelets and a thin necklace. She holds her head, topped with a thick mass of golden hair, confidently high and gives us an assertive stare. It’s late summer. On the left an orange tree is in fruit; on the right, hydrangeas in a pot: some of its flowers have already fallen on to the ground beneath Atalanta’s feet. Opposite sits a dove. What is Williams up to? Why has he so obviously turned his back on the story? An easy explanation would be to say that the mythological title is a mere convenience, a pretty name for a conventional exercise in modern portraiture, as if he’d asked his sitter, whose name might have been Jane or Doris, what name she’d like to be given in the painted version of her and ‘Atalanta’ had been the (rather imaginative) reply. After all, she’s no Jessica Ennis, and she doesn’t look as if she’s been brought up by a wild bear. But I wonder whether something more subtle is at work? Was Williams trying to imagine what an Atalanta of the early twentieth century could be? He was a modern man himself, a Fabian socialist and pacifist who believed in the rights of women. The Greek Atalanta was certainly a match for any man – her name meant, literally, ‘of equal weight’ – but would a contemporary Atalanta need to be a woman of war and physical competition in order to claim equality? Would she have to ‘beat men at their own game’? Would men have to die in large numbers before she was satisfied with a partner? Perhaps there is a way for women to assert their equality in other ways, without resorting to violence and war. Williams’s Atalanta, unquestionably feminine, is nevertheless a modern woman. Without the trappings of authority, or even the physical bearing of power, she looks the equal of anyone. Her natural poise and her even gaze suggest that she expects to be treated as she will treat us – as an equal. The apple, symbol of discord, temptation or heroic fame, has been replaced by the softer orange, symbol of love; one has fallen into Atalanta’s lap. The dove is a quiet repudiation of the arts of war. The leopard skin was bought in a department store, rather than torn from its owner by the huntress after a violent chase. This is a woman, says Williams, who can equal or surpass men without having to prove it in the masculine arena of conflict and competition.